Stipula draws inspiration for the Etruria Magnifica collection from the sophisticated decorations deep-seated in its Tuscan roots, a region known as Etruria during ancient times. 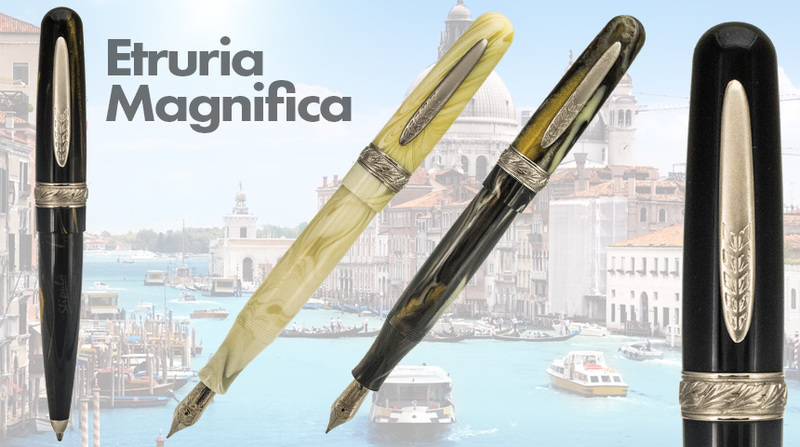 The Etruria Magnifica model is crafted from the highest quality of Italian handmade resins, made exclusively for Stipula. Each piece is carefully examined for color and consistency. 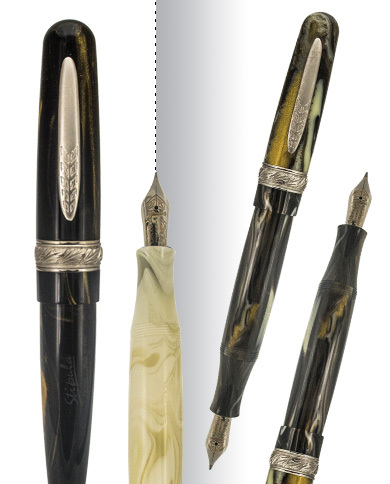 Once personally selected by Stipula's experienced craftsmen, each piece of resin is turned and hand polished to ensure that every writing instrument is made to Stipula's highest standard of quality. The clip and band on the caps are engraved with designs influenced by local artisans in Florence, the hometown of Stipula. 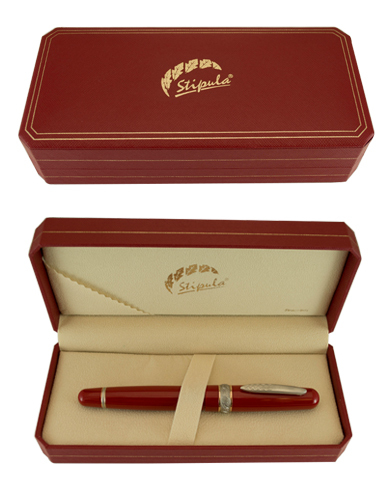 The fountain pen utilizes the convenient converter cartridge filling mechanism and is mounted with an elaborately engraved steel nib available in a choice of Fine, Medium, and Italic 1.1mm grades. The rollerball and twist action ballpoint pens use a standard refill, available in a wide selection of colors and point sizes.